Nits and Lice: Pesky ‘Lil Buggers! Pediculosis, or head lice infection is one of the most dreadful experience one can ever have in their lifetime. Children are the typical victims of these pesky bugs because they are prone to close head to head contact; which is the primary transmission of getting head lice. That is why parents are advised to discourage children from close contact activities and sharing of personal items such as combs and brushes. It is not common to contract head lice from animals such as dogs and cats, but it is more likely to get infected by contaminated clothing, pillows, stuffed toys, and upholstered couches. When do you know if your child is infected? Nits or lice eggs found attached to the hair. Young children tend to scratch relentlessly. Thus, these affected areas may become infected. Your doctor may prescribe antibiotics for the infected rash. 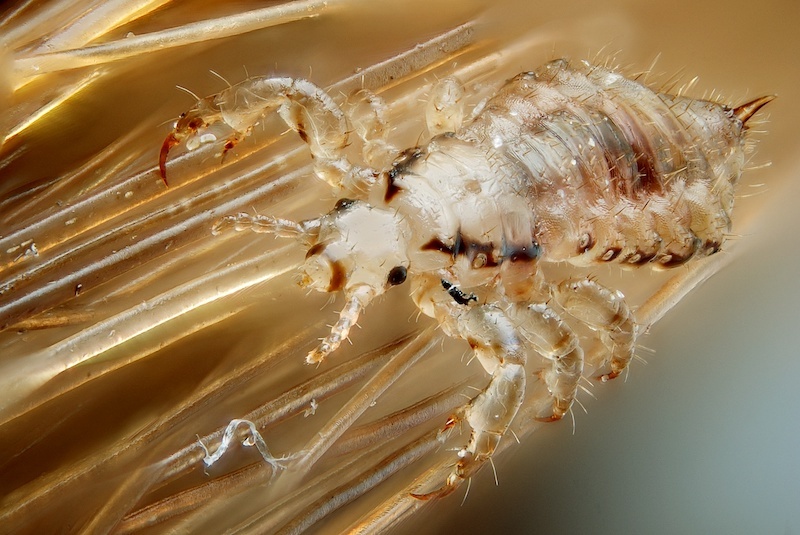 Individuals with an active lice infestation should seek treatment. Family members who have close contact should also be treated at the same time to avoid reinfestation. It is best to get the advice of your doctor for proper diagnosis and treatment. Prescribed over the counter medications have the ability also to kill nits (louse eggs). Adults and children may be treated with medicated shampoo, lotion, cream or rinse, prescribed by your physician to rid of the lice. Following the instructions carefully will not only ensure the full effect of the medication but also prevent lice from having resistance to the treatment. If resistance occurs, your doctor may prescribe an oral medication. Children under two months old should not be treated with medicated lice treatments. Removing the nits and lice by hand with a fine-toothed comb is recommended. Wetting the hair with water temporarily immobilizes the lice which make it easier to remove with a comb. Applying some conditioner to the hair may also help to comb easier and gentler on the child. Removal of nits must be done daily for three weeks in a row after treatment. Closely monitor your child to see if there are any lice remain. Other non-pharmaceutical treatments can be done to get rid or avoid reinfestation. The following steps of treatment must be followed. Wash all used clothing and beddings in temperatures 53.5°C (128.3°F) or higher. Exposure to this heat for 5 minutes will kill all nits and lice. Items that cannot be laundered may be placed in an airtight container or plastic bag and placed in the freezer for up to 2 weeks. Soak combs and brushes in hot water for 5-10 minutes to kill any nits and lice. Regular washing of brushes and comb is good practice of good hygiene and prevention of reinfestation. Never share grooming tools and items (brush, hair tie, comb, etc.) that come in contact with the hair or head with anyone. Lice that has fallen off a person can survive up to 48 hours if it cannot feed. Nits, on the other hand, cannot hatch if they are not exposed to the same temperature as they have on the human scalp; chances of nits surviving on the carpet floor is minimal and may die within a week. Therefore, inviting pest control and fumigating is unnecessary. Do students with lice have to stay at home? In the past, doctors require children with head lice stay at home until fully cleared from lice. Doctors nowadays discourage parents from keeping their children at home while suffering from lice infestation. The Matanuska-Susitna Borough School District have their policy on head lice, read more here. Lice infestation is NOT a hygiene issue. Whether rich or poor, people are vulnerable to lice infestation. Because lice cannot fly nor jump, being mindful with personal care items and avoiding close head to head contact may help prevent having lice. Always check for head lice at least once a week, if you have school age children. Remind them to never share personal care items to and clothing such as scarves, coats, hats, and items that touch the hair, to anyone. When suspecting an infestation or reinfestation, always consult a physician for proper medical treatment. Many medicated products used to treat head lice infestation is harmful to the body and may be very toxic to younger children.